Android phones and tablets come with built-in support for a Virtual Private Network (VPN), but the process of setting one up and getting connected is a tedious pain. On top of that, the protocols available don’t include OpenVPN, which is widely regarded as more secure and open than PPTP and L2TP/IPSec. So instead of manually configuring a VPN with your Android phone, we recommend subscribing to a provider with dedicated VPN apps for Android. Instead of inputting server domains and pre-shared keys, all you need to do is install the app, log in, choose a server, and hit connect. Connecting your Android phone to a VPN server in the appropriate location can mask your IP address and help you unblock geo-locked content like Netflix and Amazon Prime Video. It can also prevent your ISP and mobile carrier from monitoring your online activities. It’s always a good idea to connect your Android device to a VPN server when on a public wi-fi network to stop hackers from snooping on your online activity. ExpressVPN The one to beat. Great Android app that is easy to set up and use. Super fast servers are great for streaming and downloads. Privacy and security are top-notch. Includes 30-day money back guarantee. IPVanish Top spot contender with great Android app. Good speeds and connections are reliable. Also works well with Kodi and Amazon Firestick TV. NordVPN Budget provider with a huge network of servers that can unblock most popular streaming services. Solid security features. CyberGhost Great for VPN beginners. Easy to set up and start using. Server speeds are impressive for a low-cost provider. VyprVPN Android app has kill-switch feature. Can also set it to automatically activate when the device connects to untrusted wifi networks. A bit pricey. For the best VPN for Android, read on to find out our top five list. ExpressVPN is without a doubt the best VPN for Android. Its dedicated app requires you to enter a one-time activation code for the device, after which you don’t have to enter a username or password again. The well-designed app can be set to connect as soon as Android starts up. You can choose between UDP (faster) or TCP (more stable) OpenVPN protocols. Torrenting and other peer-to-peer traffic is allowed. ExpressVPN operates more than 3,000 servers in 94 countries. It’s one of the most reliable VPNs in terms of both performance and ability to unblock geo-locked content from Netflix, BBC iPlayer, Amazon Prime Video, and Hulu, both in a web browser and in each of their respective Android apps. You won’t find better security, which includes 256-bit encryption, perfect forward secrecy, DNS leak protection. ExpressVPN keeps minimal metadata logs and will never record your online activity or your IP address. The Android VPN app is available from Google Play, the Amazon Appstore, and an APK via direct download. ExpressVPN also has an iOS, and a desktop VPN client for each of the three major operating systems: Windows, MacOS, and Linux. Three devices can be connected simultaneously. BEST VPN FOR ANDROID:ExpressVPN is our Top Choice. Leads the way with its easy to use no-fuss Android app. It has a vast server network that is optimized for high-speed connections. Hard to beat on privacy and security. Works with all major streaming services including Netflix. There is a 30-day no-quibbles money-back guarantee so you can try it risk-free. Another hot contender for the best Android VPN is IPVanish. Its Android phone app is now in its third generation and is looking fantastic. You can see the load and ping time of each VPN server in the list. A widget can be installed and resized anywhere on your home screen. A dropped VPN connection can be reconnected automatically. P2P is allowed. OpenVPN UDP and TCP connections are both available along with a « Scramble » obfuscation feature designed to bypass network traffic sensors that detect and block VPNs. This VPN service offers reliable performance and decent speeds. Security includes 256-bit encryption, perfect forward secrecy, and DNS leak protection. IPVanish sticks to a strict no-logs policy. The Android VPN app is available from Google Play, Amazon App Store, and an APK via direct download. The Amazon app is also available on the Fire TV Stick, which makes it great for Kodi users who need a good VPN that’s easy to set up. A bonus with IPVanish is it allows up to ten simultaneous connections, which is double the industry standard of five. This means you can connect all of your household devices under a single plan. Other apps include a Windows VPN client and a MacOS version. GREAT BUDGET VPN:IPVanish has a large network of servers and handles multiple connections well. Easy to use and preferred by users who need high standards of privacy. Can’t unblock as many streaming services as some of its rivals. 7-day money-back guarantee. You can choose from either a list of servers or just click a pin on the world map to connect to a NordVPN server. The company’s SmartPlay DNS can bypass anti-VPN firewalls on geographically restricted sites like Netflix, Hulu, and BBC iPlayer. OpenVPN over both UDP and TCP are available. You can set the app to automatically connect to a specific server on startup. Live chat support is available from within the app. P2P traffic is allowed. NordVPN adheres to a true zero-logs policy, meaning it doesn’t retain any data about what its customers use the VPN service for or how. 256-bit encryption and perfect forward secrecy ensure no one can peek through the secure tunnel. NordVPN offers DNS leak protection and automatic public wi-fi network protection. Speeds are fast enough to ensure reliable streaming. Six devices can be connected simultaneously. The Android app can be downloaded from the Google Play store. BUDGET-FRIENDLY:NordVPN offers great value for money, with a large server network, fast speeds, and great unblocking capabilities. This provider offers a 30-day money-back guarantee. Read our full review of NordVPN here. CyberGhost will list all of the available servers and locations for you to choose from like the rest in this list, but the latest version of its Android app encourages you to choose from one of several profiles based on how you plan to use it. Surfing on public wifi, for example? Connect with the « surf anonymously » profile. The « Secured streaming » profile includes several servers to choose from according to the streaming channel you want to unblock: Amazon Prime Video, Netflix, BBC iPlayer, etc. The company has ramped up expansion as of late and its server network now numbers almost 3,700 spread across some 59 countries. CyberGhost VPN performed well in our speed tests. Military-grade encryption, a no-logs policy, and DNS leak protection ensure maximum privacy. The Android app is only officially available from Google Play. A free tier is available but server selection is limited and users must wait in a queue to connect. CyberGhost allows up to seven simultaneous connections, so you can connect all your devices at the same time. GREAT FOR STREAMING:CyberGhost provides access to lots of geo-restricted content and its easy-to-use apps are ideal for beginners. Plans come with a 45-day money-back guarantee. VyprVPN is a longstanding provider that owns and operates its own network of servers in more than 60 countries. This ensures fast speed and strong security, although it does log its users real IP addresses. VyprVPN can unblock sites like Netflix and Hulu, as well as their respective Android apps. VyprVPN’s Android app is the only one on this list to use a kill switch. While many of the others include this feature in their desktop software, kill switches are notably absent from the mobile apps. A kill switch will block all traffic in the event of a dropped VPN connection, which prevents traffic from leaking onto your unencrypted network. Somewhat ironically, kill switches are in highest demand among torrenters, but VyprVPN has been shown to be adverse to P2P traffic in the past, reportedly penalizing users for downloading copyrighted material. You can also set the app to always connect when on « untrustworthy » public wifi connections. VyprVPN’s Android app is available on Google Play and an APK via direct download. A basic plan enables you to connect five devices at a time. EASY TO USE:VyprVPN is user friendly. Works well on Android devices and is good for streaming content. Good performer but a bit pricey. 30-day money-back guarantee. Betternet supports itself by using tracking cookies and injecting ads into the websites you browse. Because these ads come from a third party, they are not to be trusted. Furthermore, only two servers are available. Typing « VPN » into the search bar of the Google Play Store will likely return Cloud VPN as the top result. Unlimited bandwidth and no data caps for free sounds enticing, but the app works with third-party advertisers to inject ads and collect some information including your device ID and real IP address. That includes putting unsolicited tracking cookies in your browser. Furthermore, the app will suspend users who attempt to use P2P apps. A quick search on Google Play will turn up no shortage of so-called « free » VPN apps. We strongly advise against using these for several reasons. First, performance is usually poor. Free VPN services will usually have a limited selection of servers, impose data caps, and restrict bandwidth. Some force users to wait in a queue before connecting. Second, security is often substandard, and in some cases, free VPN services can actually make your privacy worse off. 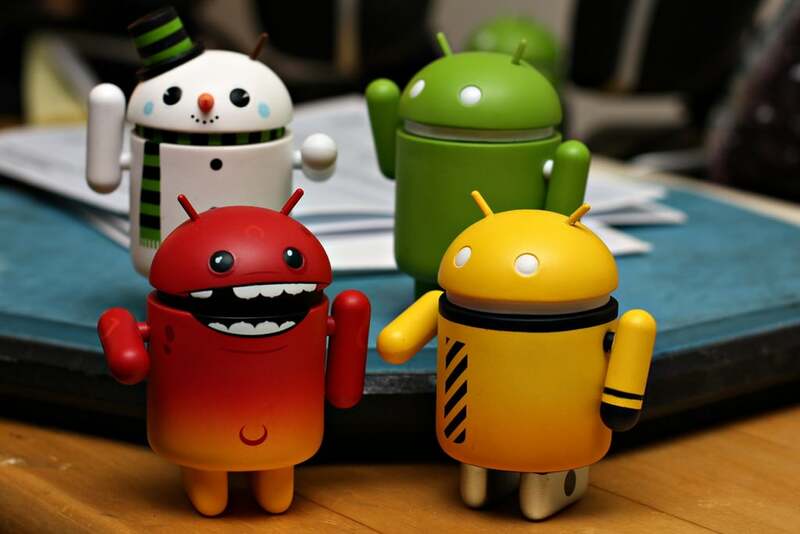 With hackers using increasingly sophisticated attacks to target Android devices, security is more important than ever. Encryption standards employed by free VPN providers might be deprecated, obsolete, or even non-existent. What’s more, many free VPN services use tracking cookies or log your activity to gather personal information and sell it to third-party advertisers. Others inject advertisements directly into your web browser. In the worst cases, VPNs can even carry malware payloads to infect your device. The developers do little to offer support and often hide their identities, so there’s no way to know if most free VPNs are even remotely credible. If you only need a VPN for a short period, a free trial of a paid plan is a better option than a free VPN. If you’re using an Android device without Google Play, finding the app for your VPN can be a pain. Uncertified devices, such as some Kindle Fire HD tablets and smartphones bought in China, for example, can’t install Google services, including the Play Store. Next, find the APK file for the VPN app. Hopefully you can get this directly from your VPN provider’s website with a bit of searching. Ask customer support if you can’t find it. Alternatively, you can download the APK from a third party site. There are a ton of APK hosting sites out there with pretty much every app you can imagine. Just Google » APK » and it should pop up. Be warned, however, that these are not official downloads from the company and thus could contain malware or be outdated. Always read reviews if they are available, run a virus scan on the file once it’s downloaded, and double check the version. If it looks shady, don’t install it. Once you’ve downloaded the file, just click on it and Android will ask you if you trust the app. Confirm and let Android do the rest. It should install just like a normal app! Not all VPN providers have apps, or maybe you can’t find/don’t trust a third-party APK file. Another option is to use an open-source VPN app. We highly recommend « OpenVPN for Android » over OpenVPN Connect and the other clients out there. It’s easier to use and works with a wider range of configurations. Once you’ve installed the app, click the plus sign at the top right to add a VPN profile. You will probably want to import an existing config file rather than set up your own, so choose the « import » option. You will need the OpenVPN config file, which can be downloaded from your VPN provider’s website. Find it, select it, and you should be set to go. As a last resort, you can set up an L2TP/IPSec connection manually in your Android settings. We recommend avoiding PPTP, the other built-in protocol available, as it contains known security vulnerabilities.